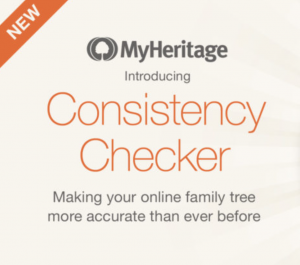 MyHeritage announced that it has introduced the new Consistency Checker. It is a new tool that can be used with online family trees on MyHeritage. Consistency Checker scans your family tree and identifies mistakes and inconsistencies in your data so that you can make necessary changes in your tree. Consistency Checker can help you improve the overall quality and accuracy of your family tree. The Consistency Checker uses 36 different checks on family tree data. It can find and point out mistakes that you have made. It does not automatically correct those mistakes for you. Any issue that Consistency Checker brings to your attention, that you think is not a mistake, can easily be marked to be ignored. This will prevent Consistency Checker from pointing out those same items again. * Spelling errors – Some place names have more than one correct way to spell them. 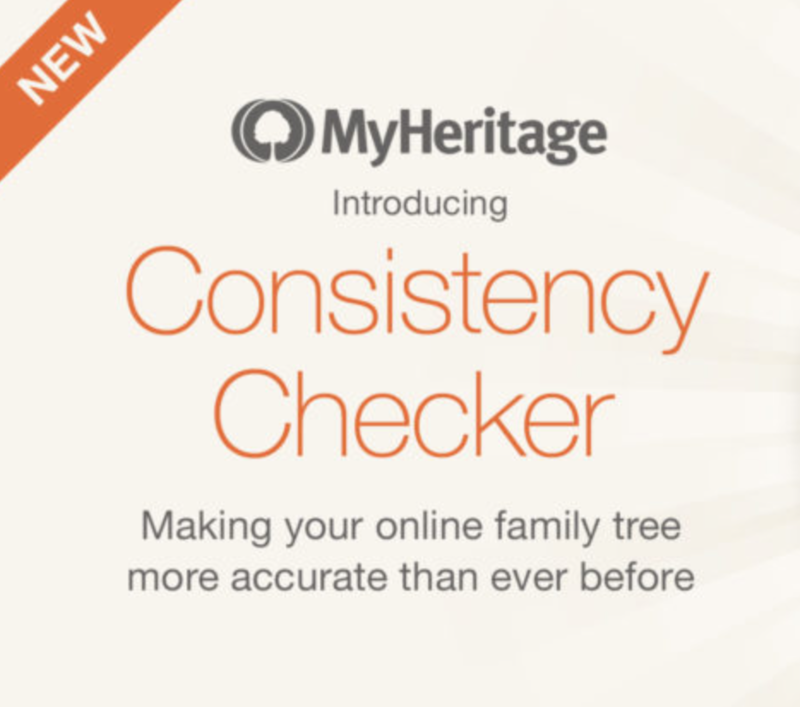 MyHeritage says that a similar Consistency Checker was available in their Family Tree Builder software. People liked it, so MyHeritage decided to provide the Consistency Checker for the 37.1 million family trees managed by MyHeritage users. To access the Consistency Checker on MyHeritage, start with the Family Tree drop down menu in the main navigation of your family site. Click the box called “Tree checker”. It will immediately begin to scan your family tree. A progress bar will be displayed that shows you how much additional time is required for the Consistency Checker to complete the scanning process. MyHeritage suggests that you run Consistency Checker in a separate window the first time you use it. Most users won’t need to wait for more than ten minutes, and the results will be worth waiting for. In the meantime, you can open another window and use that to do something else while you wait. The Consistency Checker for online family trees is a paid feature, available without limit to users who have a PremiumPlus or Complete subscription. Those that do not have a PremiumPlus or Complete subscription will still get one issue for free from each one of the 36 checks and get a lot of value from this new feature for free. The rest of the information will be displayed after you have a subscription.